Yellowstone’s supervolcano won’t erupt anytime soon. Neither will other similar systems around the world. 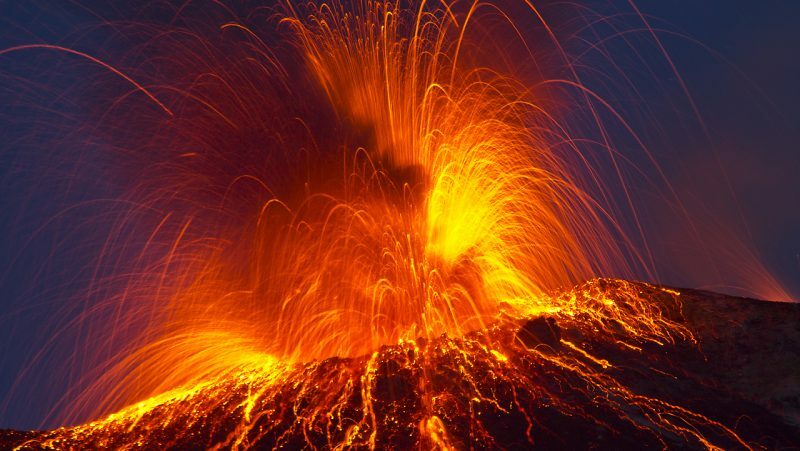 A new study says we’ll see many warning signs before a supervolcano erupts. A supervolcano is a large volcano that has had an eruption of magnitude 8, which is the largest value on the Volcanic Explosivity Index (VEI). This means the volume of deposits for that eruption is greater than 240 cubic miles (1,000 cubic km). Supervolcanos tend to occur in areas of significant tectonic stress, where plates are moving toward, past or away from each other. Any tectonic stress will help destabilize rock and trigger eruptions, just on slightly different timescales. The remarkable thing we found is that the timing seems to depend not only on tectonic stress, but also on whether magma is being actively supplied to the volcano. We were initially surprised by this very short timeframe of hundreds to thousands of years. But it is important to realize that supervolcanoes can lay dormant for a very long time, sometimes a million years or more. In other words, they may remain stable, doing almost nothing for 999,000 years, then start a period of rejuvenation leading to a large-scale eruption. When new magma starts to rejuvenate a supervolcano system, we can expect to see massive uplift, faulting and earthquake activity, far greater than the meter-scale events we have seen in recent time. We are talking on the range of tens to hundreds of meters of uplift. Even then, our models predict that the system would inflate for hundreds to thousands of years before we witness catastrophic eruption. It is also important to note that our research suggests that the whole rejuvenation-to-eruption process will take place over several or more human lifetimes. Our models indicate that there should be plenty of warning. The team created their model based on New Zealand’s Taupo Volcanic Zone. They chose this system because of its relatively uncomplicated extensional tectonic setting – the type of area often associated with supervolcanoes. Read more about the study from University of Illinois.